Will I be sued if I share a tarot card image on Instagram? How many tarot cards can I put in my blog article? Do I have to pay if I take a picture of my tarot card spread in a paid tarot reading? What can I do if someone steals my idea for a tarot deck? Can someone call their tarot blog the same name as mine? If I write something should I post it to myself in a sealed envelope so I can prove copyright …? In this article we will address several issues that come up on the use of tarot images and their copyright, trademark and licensing. Note: This is not legal or commercial advice and in any case you require clarification you should contact the copyright or trademark owner or representatives. Our background and interests in the matter of using tarot images in blogs, reviews and books is both personal and professional. 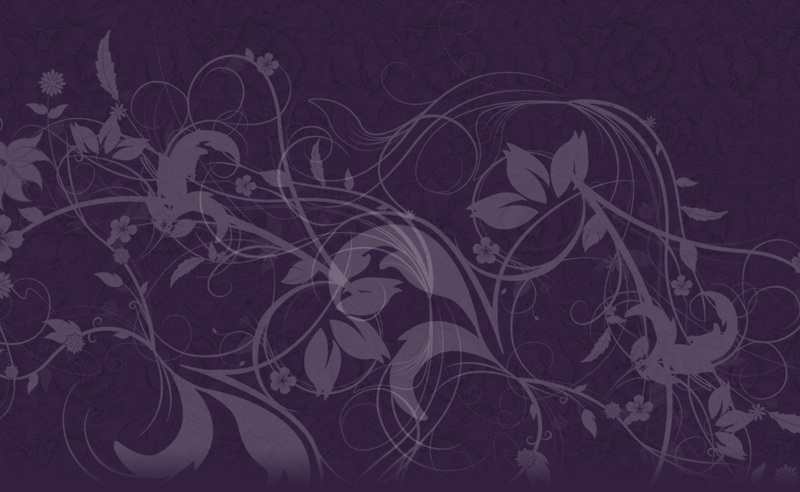 We are authors of several best-selling and award-winning books and directors of Tarot Professionals Ltd, a registered company providing the world’s largest tarot organisation, the Tarosophy Tarot Association. We are also researchers and have an academic background. As such, we own several registered trademarks, multiple domain names, and have copyright on acres of text both in print and online. We have a series of ongoing licenses for usage of text and images from multiple sources, contractual and privately negotiated. Over the years we have been involved in issuing DCMA take-down notices, working with the community compliance team at Facebook, the Google legal team, SCRIBD, Blogtalk Radio, WordPress, many other online sites and several publishers, libraries, museums and private organisations in the matter of copyright and trademark. We have also been involved with many independent bloggers, deck producers and authors who have found their work pirated or otherwise abused. We have had our own copyright infringed, trademark infringed, a case of cyber-squatting, many hate campaigns and a death threat which we had to report to the police. So we feel we have a little background in these issues. In recent months we have seen a lot of incorrect, misleading, or simply anodyne and confusingly general posts online about copyright and trademark in tarot. The issue is complex, of course, but there are some simple guidelines and new statements from the publishers that we have requested to place here for clarification. You can discover more information at the United States Patent and Trademark Office in the US and the Intellectual Property Office in the UK. These sites will also allow you to search existing trademarks, for example, if you are interested in registering your own mark (see below). As tarot is a relatively niche market with a few major publishers covering a majority of products sold and a vibrant independent creative base we asked the major publishers to provide additional commentary on their existing copyright and trademark statements. The headline is that for decks published by US Games Systems, Llewellyn and Lo Scarabeo, whilst all copyright protection automatically stands by default, you are encouraged to use small selections of cards from decks in your blogs, Instagram feeds, twitter, etc., within reason without specific request, notification, permission, license or cost, subject to stated recognition of their copyright. This also applies to commercial online, email and phone/skype readings using images of spreads using US Games decks and we are awaiting clarification from the other publishers on that specific usage. The issue is that publishers should protect their artists and authors, and all their business and staff – and copyright & trademark is the legal basis and recourse for creative workers to protect their creations. So as soon as you create something original, it is your copyright. You do not need to post it to yourself – that is a myth and offers no additional protection or proof. In certain countries (and states in some countries) you should register your copyright which provides essential protection should you need to take legal action. This can be done for blogs too, on a regularly scheduled basis, i.e. you renew your copyright every six months for new content. If someone copies your images or text online, you can issue a DCMA “take-down” or ‘cease and desist’ to the site provider or host. You are usually encouraged to first contact the individual or company infringing the copyright, however, that is sometimes ineffective where they have done it deliberately in the first place. So a publisher needs to protect against piracy as a first principle – the use of a tarot card image on a tee-shirt sold for profit, a whole deck being scanned and reprinted on inferior stock for sale in other countries; the copying and re-packaging of a book under a different title – these things do happen on a daily basis. However, publishers also recognise, utilise and even celebrate the free publicity and outreach afforded to them by the new social media. So a balance has to be struck. A publisher cannot process hundreds of requests a day to review and issue license for every “card a day” post that gets posted online. Technically, I believe, you posting a scan or photograph of a tarot card is illegal, particularly when a blogger has some commercial interest in promoting their blog, i.e. offering readings. Every share of that “card a day” is probably technically, down to the text, illegal. You are not offering that card under “fair use” for review or discussion, if it could be shown that you were in some way profiting from its use – even one card. This would be the same as me using one of Erik Dunne’s Tarot Illuminati (for example) images for a big banner over my reading table at psychic faires without permission. It is a breach of copyright. But again, common sense would indicate on both sides that one card from a deck for sharing, particularly when the usual response is “That is a beautiful card, which deck is it?” is a good thing for sales and promotion and rarely benefits the original poster in any substantial financial manner. And again, tarot is art protected under copyright, but it is also a tool. We would not expect that once we have purchased a spade, we have to pay additional costs every time we use it. That is not a like-for-like comparison at all, but it might be how readers feel about the matter. So should we pay if we are making money from a deck by offering readings with it? How would that even be licensed, policed and enforced? “It has always been fine for folks to post images of USGames decks on social media, blogs, videos etc. To protect our artists, we did have a fee for using decks for online readings but have since done away with that. The official statement: Upon careful review of our usage policies and how they effect our customers, we have decided to rescind our policy of charging tarot readers a fee (formerly $250) to use U.S. Games Systems proprietary images for online, emailed or phone readings. 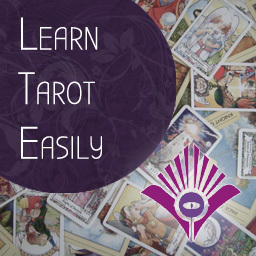 It should be noted that USGames have a strict licensing agreement with tarot.com for use of their decks in online reading systems (‘automated’ or ‘computer-generated’) which limits the use of their decks in such systems. If you were considering building an online reading system with a deck or decks from USGames, you should contact them (and likely tarot.com) for details. We would imagine it is unlikely you would receive license. “If you fall in love with one of Llewellyn’s decks and want to write, post, blog or tweet about it; that’s great. If you want to include an image of a single card or multiple cards that you connected with – that’s also fine. It’s nice if you ask, but it’s not necessary. If you share a card image; please be sure to give credit to the artist and the deck. That’s only fair. But please do not share the entire deck. So, again, at present, there is no requirement to request permission for every “card of the day” or “multiple” card images on a blog or review. “Multiple” is a tricky one; does it mean precisely less than 20% of a deck, or only 1 card if it is a 22-Majors only deck, or 4 cards in highres or 10 so long as they are lowres… etc. Here we have to apply common-sense; you will obviously not want to put up a highres scan of all the Majors of a deck, for example. You will note there is presently no official clarification from Llewellyn as to using card images in paid readings, i.e. reproducing them in a report written for a paying client for an email reading, images from a Skype session, etc. At present we believe that LS share the same thoughts about usage as above, but are awaiting a statement. Regarding adding the copyright symbol with either Schiffer’s name or the Artist’s name, this would be fine for use. A watermark could suffice as well. Regarding images used in a photo of a spread, a photo of a spread is fine, however scanning cards is not permitted. For reviews, there is no problem with posting images. For readings, showing a spread to a customer is fine. Regarding non-profit organizations using their images on websites without charge, but wanting the artist to be compensated if the image is used as part of a professional Tarotist’s business branding, this all depends on use, and the Author and/or Illustrator’s desires. Any sites that use automated software that provide automatic readings should be fully licensed. If you have a specific usage requirement or restrictions (or lack of restriction) on your deck, please let our P.A. know at pa@celestialcanopy.com and we will update here. 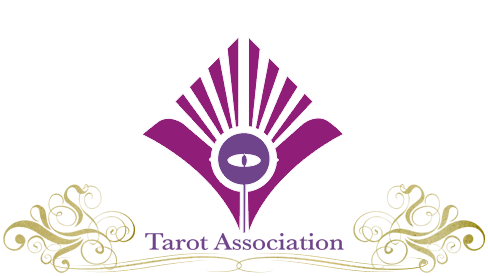 We encourage Tarot Association members to liaise with each other and provide mutually beneficial arrangements for usage of their work. We just wanted to make a separate point for this issue, which has come up several times. Please ensure you have permission to use images or celebrity photographs, etc., before you put them onto your tarot deck. We have several cases where a person has happily gone ahead and started to produce “for their own use, a bit of fun”, a deck with say, Harry Potter or Star Wars characters. Even if you think it is a “bit of fun”, then others may not view it in the same manner. Suppose you produced a 22-Major Arcana Harry Potter deck, put it online, and a month later discovered it was being copied and sold on Etsy? Suppose Warner see it before you do? Here are some things that might happen, in this list of Harry Potter lawsuits. Please contact the publisher of the deck you wish to use, even for one image from a deck, if you are writing a book. Do not leave this until the last minute otherwise you may be disappointed. I once spent almost four months tracing copyright permission to use a scan I had made of a 1955 magazine, and I was glad to do so, because it taught me that copyright can still exist for the most unlikely of things – in fact, for everything created by someone. In that case it had gone through four different publishers and parties along the intervening years. Fair usage, in general, does cover you to reproduce selected items of text or images for review or commentary. Again, it is usually down to common-sense how this is applied. If I am reviewing a deck, I would usually seek permission from the publisher as a matter of course. As Bill Gates is reported to have said, “intellectual property has the shelf life of a banana”. That is to say, if you have a good idea, you need to not only protect it, but make of it what you can before it is copied. If it is a good idea, it will be copied. Intellectual property is a tricky area, but a simple rule is keep your idea to yourself until you are ready to market it. If you involve other people in your idea, get them to agree non-disclosure, to the level that you feel your investment is worth protecting. If you do, do not be surprised, shocked or even a bit outraged when someone else produces the “Golden Honey Badger Tarot” the following month and sells it for a six-figure sum to Naff Publishing, Russia. If you do, do not be even a little astonished when someone else produces the same month, the IndieBadger Deck, with terrible line drawings, or photo-collage. And if you do, whatever you feel, do not be in the least incredulous when IndieBadger person accuses you of stealing their idea and starts a social media frenzy against you. And finally, having shared your idea so innocently, you will not even get to bathe in glory or seethe a little when Nokia sue and bankrupt the whole lot of those people when they produce the Honey B Tarot ™ ® just six months later. All a coincidence of course. And the Honey Badger don’t care. So, protect your idea as long as you can, and make of it what you can while you can. You may wish to investigate intellectual property registration and patent, if you really do think you have an idea worth protecting to that level. However, you will need additional funds set aside to then implement that protection at a later date should it be possibly infringed. One area that is relatively easy to protect and inexpensive in comparison is that of your trademark. You should investigate your own countries laws on trademark and register your trademark. A trademark – without going into all the detail – is the name of your product or service or a symbol that uniquely represents your offering. As an example, “Tarosophy®” is a registered trademark. It is my property, just in the same way my car or coffee table is my purchased property. You cannot use that property without permission, and you cannot use the word “Tarosophy®” without permission, like on a tee-shirt or a blog, etc., unless in certain cases where you might be referring to it. It is protected in the same way that I could not create a Pepsi Tarot. If you are planning on launching the “SkyMancer Tarot”, then register SkyMancer Tarot as your own trademark. It is worth it. Whilst you are at it, register ALL the domains associated with it also – you will know they are available from your original market research before you chose “SkyMancer”, right? We will be inserting a section here shortly on plagiarism, its impact, consequences and how best to deal with it in particular cases. We could go into a great amount of detail as to the abuse of copyright and trademark in the tarot industry, which is much as it is elsewhere – it happens. However, with a little common-sense and a professional outlook, you can protect your own work and respect the work of others. This page does not constitute legal advice nor can we fully guarantee its validity in particular cases. In all cases, seek out your local regulations and requirements, and professional, business or legal advice if you need it. The law can change and sometimes it can lag behind social media growth and development. Cases can potentially arise that change the guidance issued by publishers. 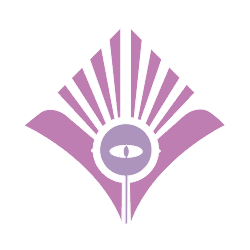 The Tarosophy Tarot Association will endeavour to keep this page updated for your reference and for public availability and will check with publishers as to its accuracy.